Did Just Snooki Post A #25years Challenge Picture? Check It Out! She is totally enjoying her life! Jenni turned Snooki into a meme! That’s clearly a #10yearschallenge picture! Well, she is pregnant now. Snooki is more mature and own couple of businesses and is having a healthy relationship with her husband, So down below look over her silver jubilee challenge or #25yearschallenge! Snooki: Should I count this as a new challenge? 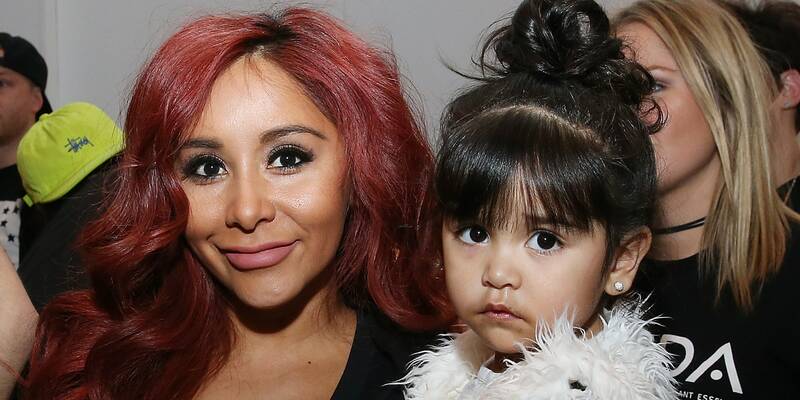 Giovanna is four years old and Snooki is 31 years old! She uploaded the above photo and wrote, “Double Trouble. #minime 👩🏽👧🏽” So, it totally sounds like a close to 25 years challenge. The best thing about this picture is no use of editing picture to show the 25 years challenge! What did fans comment on it? One of the followers quickly pointed out in the comment by writing, “She looks just like you!” and another chiming in, “YOUR TWIN SERIOUSLY! God bless.” That’s true, right? The latest photo on her Instagram!